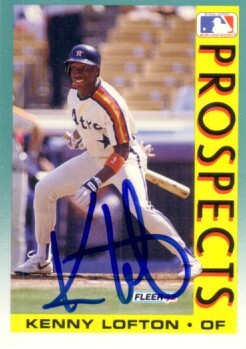 1992 Fleer card autographed by Kenny Lofton, who began his All-Star career with the Houston Astros. With certificate of authenticity from AutographsForSale.com. ONLY ONE AVAILABLE FOR SALE.